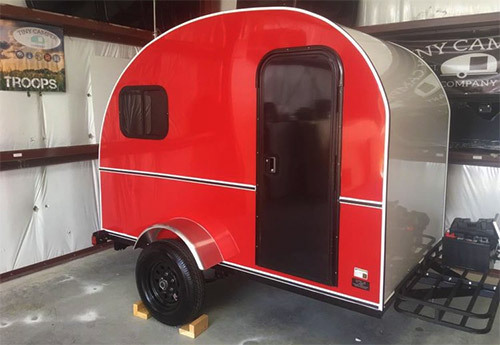 Powder-coated sides with the option of 188 different colors. 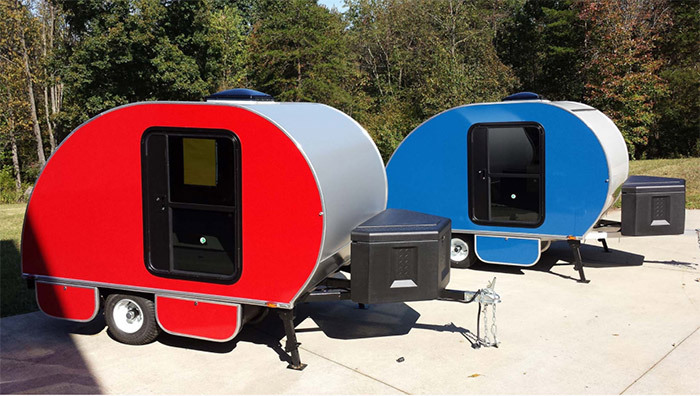 The 3 models of TC Teardrops that come in under the $7K mark are the 4×8, 5×8 and 5×9 foot models. 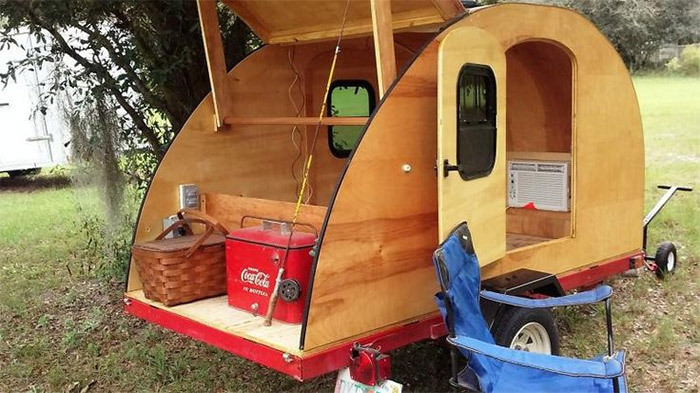 These are some very nice looking teardrop trailers – and talk about affordability! 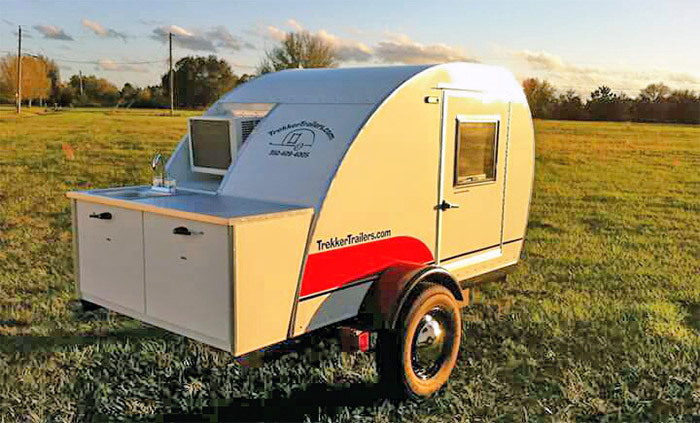 All models Tiny Teardrop Camper offers have a base price that come in well under the $7K mark, ranging approximately $3,400-$5,000. Pictured above is their largest model, called Stand Up Canned Spam ha! 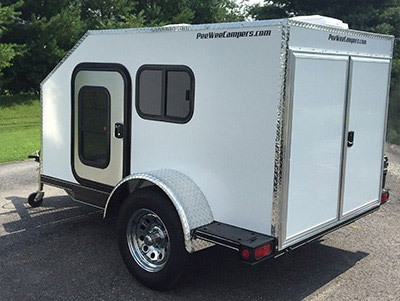 Despite the very affordable pricing, lots of standard features and amenities come with these trailers, which vary depending on the model. 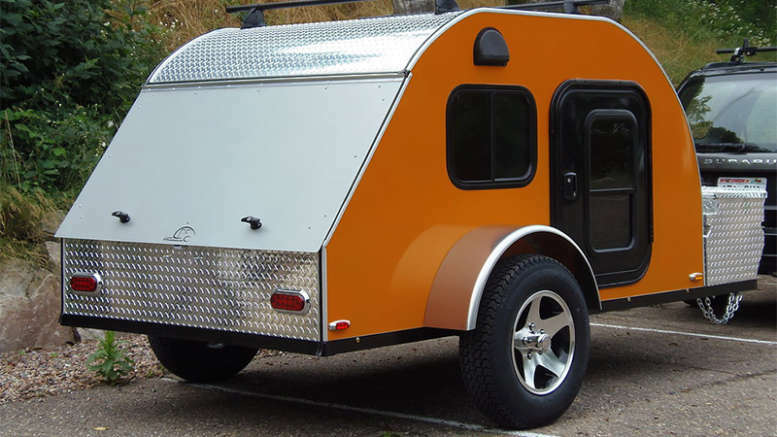 12-Volt and 120-Volt electrical system. USB charging ports. 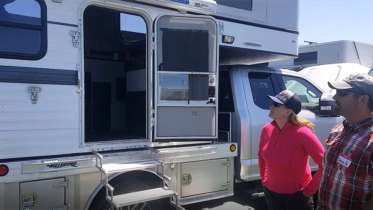 Can plug into campground power if available. 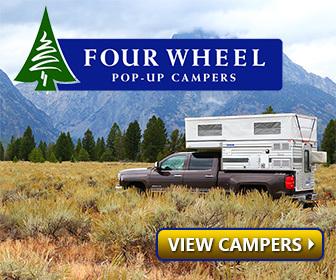 *NOTE – Honey Badger’s website seems to have gone dark, so it they may be out of business? 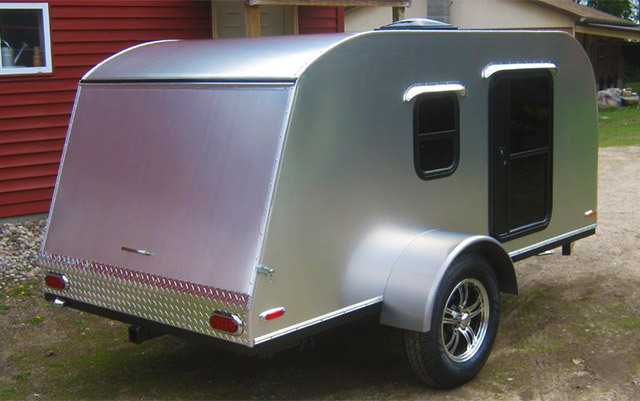 Be the first to comment on "7 Affordable Teardrop Trailer Brands Under $7,000"